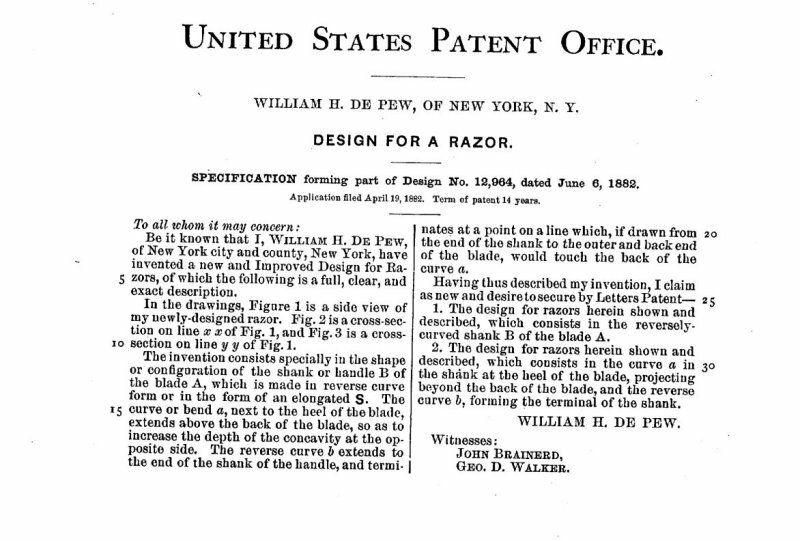 STRAZORS.com - all about classic razors - William H.De Pew, "The Perfect Razor"("monkey tail"). 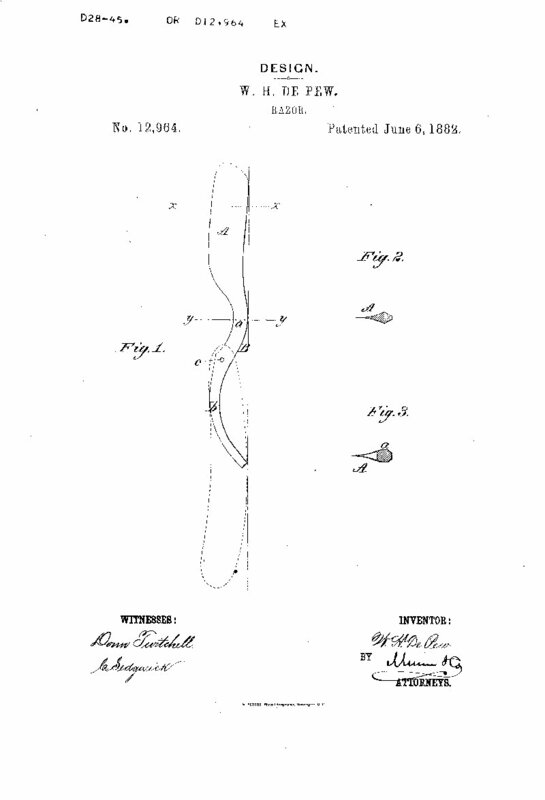 with William H.De Pew as the owner. 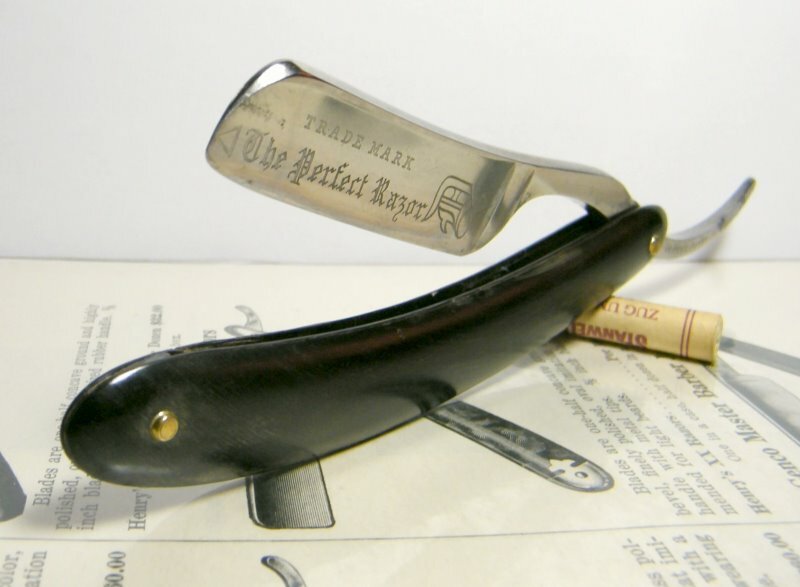 It is the small razor, length of the cutting edge 2 ". The blade 5/8, french point, 1/2 hollow. 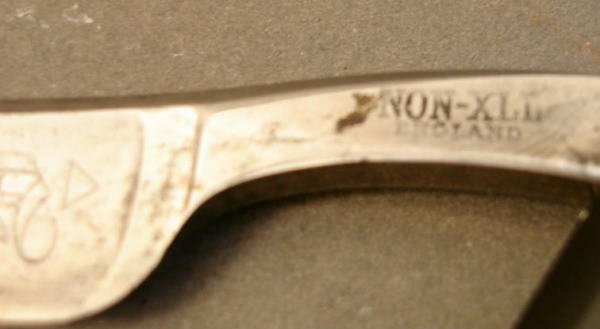 I've seen such razors with different logos. Who else made such razors is unknown. Lets me know, if you know something new.